Hurrah! Chapter 4 of Blood of Midnight: A Hollow Vengeance is completed! Time for me to start penning that short story for y’all. 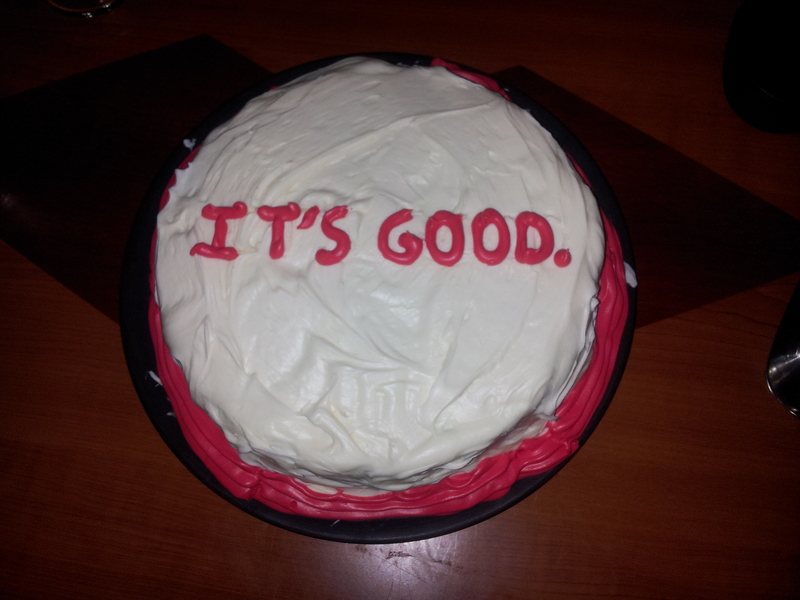 Also, I’d like to share with you a cake I baked for the two year anniversary celebration of Bonavista Writers’ Circle. If you’re a writer yourself, chances are, you recognize the joke: the most useless feedback you can ever get. Hehehehe. Until next time guys, stay awesome.